The spooky season has well & truly kicked in and WE LOVE IT! 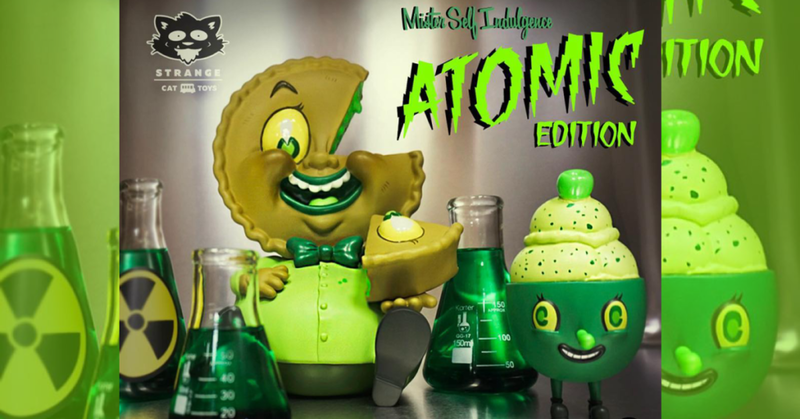 If your thing is radioactive spooky, you’re gonna want to see the latest Mr Self Indulgence by Martian Toys x Nouar! The Atomic Edition is heading our way in this lovely vibrant lime green colourway! Dare you to have a bite? The Mr Self Indulgence Atomic Edition will be EXCLUSIVELY available from Strange Cat Toys and will first make an appearance at Spooky Con in Orlando later this month (see: http://www.spookyempire.com). Available from 26th October. No online release details are known at the time of writing, but we are sure that any remaining stock will make its way to https://strangecattoys.com in the future. We’ll bring you more details if/when they are known! For now though, book your flights to Orlando for Spooky Con!